The clerk might not have got it, but Brian will appreciate that it's not an elk. This made me laugh, Betty. :-) I'm sure Brian will like the bear, but I hope you tell him about the elk going back to the store. haha! AND BEARS ARE CUDDLY...ELKS ARE NOT. This made me smile! 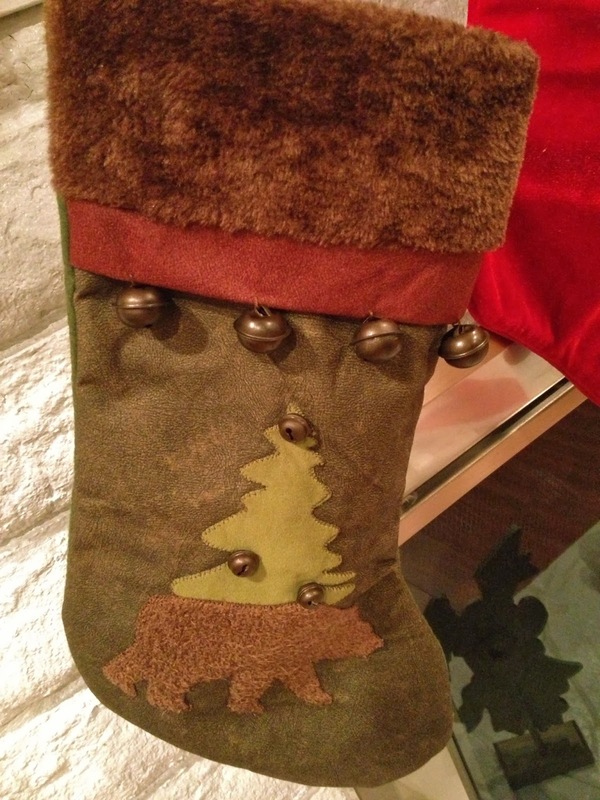 Our stockings are about 10 years old and are just the plain red ones. We are due for an upgrade. Now I know to stay away from the ones with elk on them! He'll get it. And besides, he's far more teddy bear than elk. Though a deer would have been appropriate too. i have seen male elks around their harem...you do not want to be anywhere near. Just think: you gave that employee a heck of a "work story" to tell! Ha! Only you could come up with such a great thought process! Well. I guess you won't be asking that store clerk on any dates. Now, about bears...you know, they've got to be at least as stinky as elk. And they do lie around ALL winter long, without taking a shower or even taking out the trash. Maybe you should have gone with a pinecone or something. Thought about getting started, but that is about as far as it has went. I have missed posts like this! No, an Elk definitely isn't suitable. Especially when you have both conversed about them! You did the right thing, BB ;). I think I love this story! Thanks for sharing! Hehehe, this made me laugh mainly because I.DO.THE.SAME.THING!!!!! Elks are jerks? Damn. Thanks for the heads up. Hi Betty - such is life isn't it! The clerk must have been somewhat bewildered .. loved reading it .. and the Bear stocking is pretty impressive ..
That's a classic story! I hope you tell him about the elk. You guys will laugh about that for years. Hahahaha. That is awesome. You are awesome. I hope you told him about it, such an amusing tale.